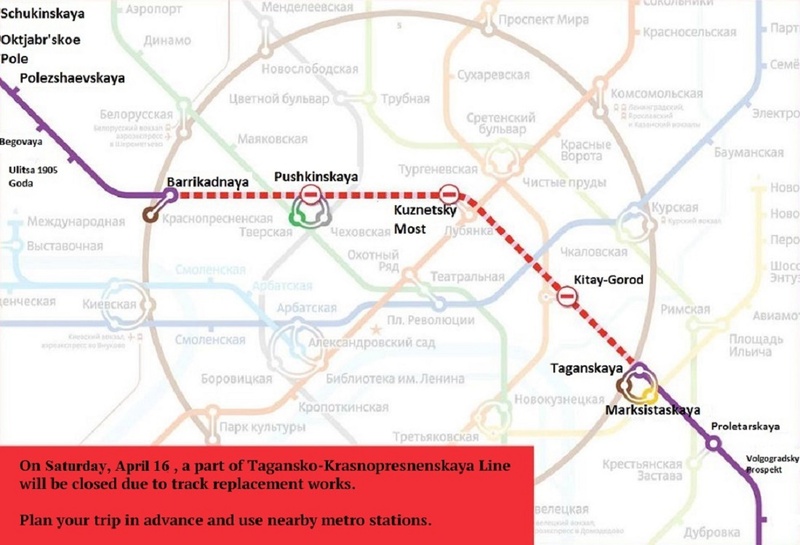 Parts of Zamoskvoretkaya (green) and Sokolnicheskaya (red) lines of the moscow metro will be closed on November 8. Throughout the day, trains will not run on a part of Zamoskvoretskaya metro line between Novokuznetskaya and Belarusskaya stations. Closing of these stations at the green metro line is necessary to complete the track’s repairs. 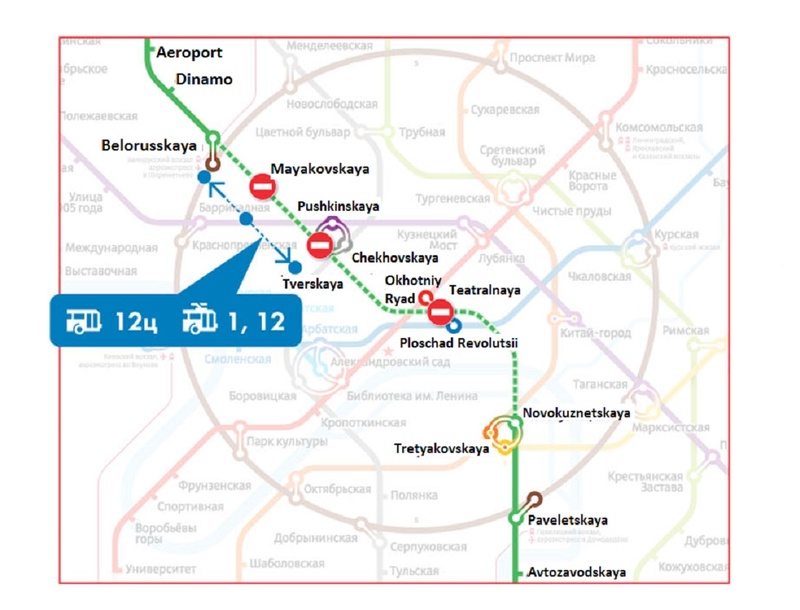 Trains will follow from Rechnoy Vokzal to Belarusskaya and from Novokuznetskaya to Alma-Atinskaya stations. Trolleybuses №1 and №12 and bus №12Ц will extend the working time and will go more often. 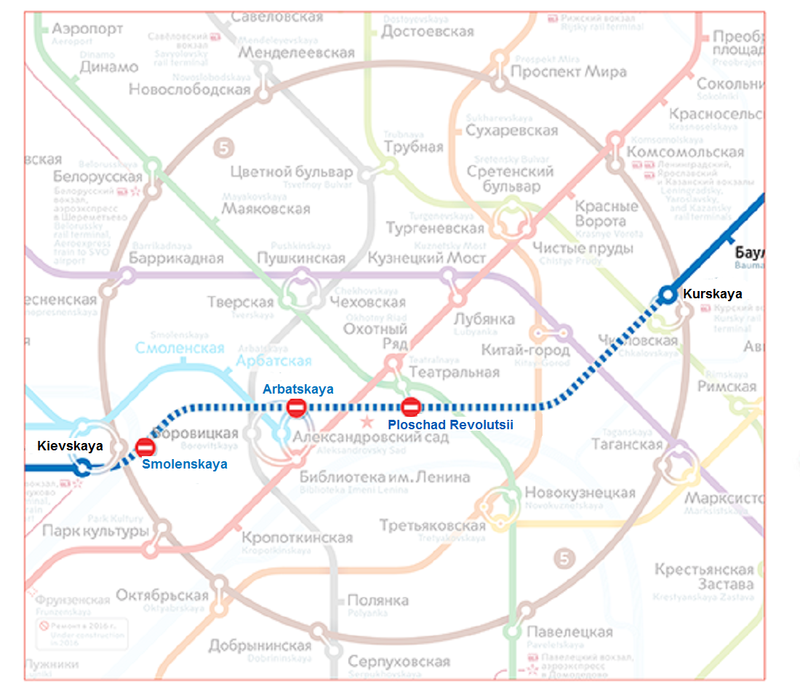 Using these routes, passengers will be able to get to each closed station of Zamoskvoretskaya metro line on November 8. 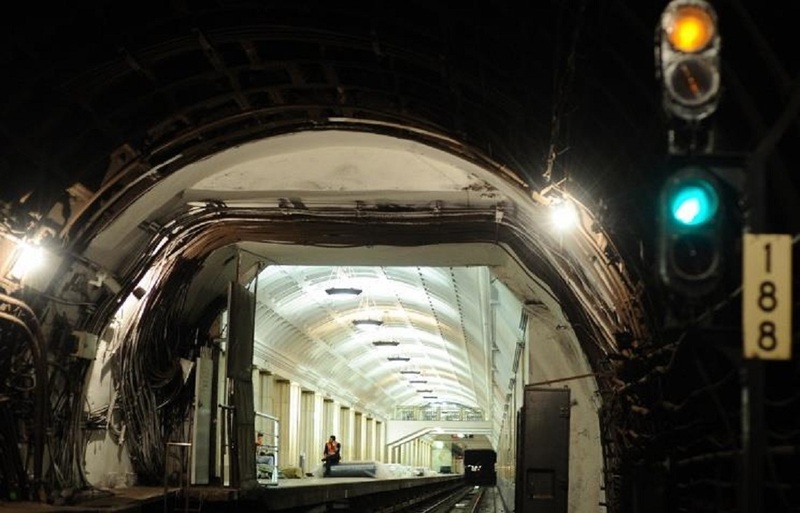 Moreover, a part of Sokolnicjheskaya metro line will be closed from Universitet to Ugo-Zapadnaya metro stations on November 8 due to works on launching a new station – Troparevo. The part of the line will be closed for one day – from 05.30 on November 8 until 05.30 on November 9. A free bus route «M» will run between Universitet and Ugo-Zapadnaya stations with an intermediate stop at the station Prospect Vernadskogo. Information boards and signs with information about the bus will be installed next to the stations. Opening of Troparevo metro stations is scheduled for the first half of November. The station will become final one at the red line of the subway until putting into service Rumyantsevo and Salaryevo stations.